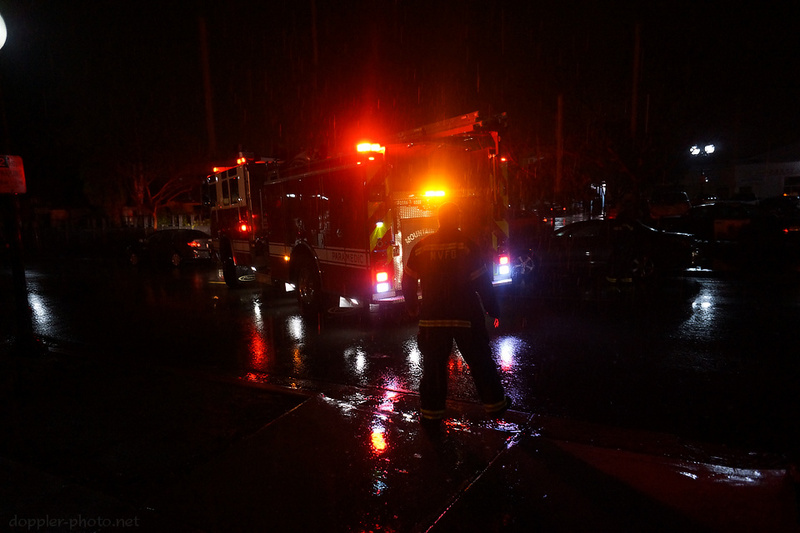 Happened through downtown Mountain View around 2:00 am this morning in the rain. Decided to go for a stroll, and spotted a fire engine that was backing into the roadway to take off. In stark contrast to the tightly-clothed clubbers who took respite under every available overhang, these firefighters didn't seem afraid of a little water.